With thousands and thousands of online and mobile casinos out there, it can be a daunting task to pick out just the one or a handful where you should be playing at. There are various things you should keep in mind when choosing your perfect mobile casino and there is not a single casino that will fit absolutely every type of gambler out there. For example, while some might value a ginormous selection of mobile slots, casino games and live dealer tables, others will want unique and bespoke mobile slots that they can download straight onto their phones. As you can see, there is no easy answer as to which casinos we’d recommend, but we aggregated all of the criteria and came up with a list of the top five mobile casinos that are absolutely banging. One of the primary factors that we considered is that the casino takes mobile user experience very seriously. In other words, it’s ideal for gambling on your mobile when the casino takes a mobile-first approach, and only tags on desktop availability later or not at all. Ultimately, you’ll be in great hands at these top mobile casinos, starting with the customer service, the games on offer and the promos and bonuses too! A long time favourite of ours, mFortune is a mobile casino that remains unrivalled by any other. Its developers InTouch Games have examined the industry and created a casino that fits the needs of mobile gamblers perfectly. While their game selection might be quite small when compared to other mega mobile casinos, each and every single game is developed and detailed in-house. You must download their software onto your mobile device if you want to play, but this ensures that the mobile performance is absolutely flawless. You can even pause a session to take a phone call and resume exactly where you left off. Plus, the video slots have a wide betting range so even the pickiest players can find what they need. A brand new addition to the exciting family of ultimate mobile casinos, Mr Spin hit the ground running. Although it currently has a handful of games to show for itself, it does cater exclusively to mobile gamblers, with its modern site, casino games and promotions designed specifically for phones and tablets. 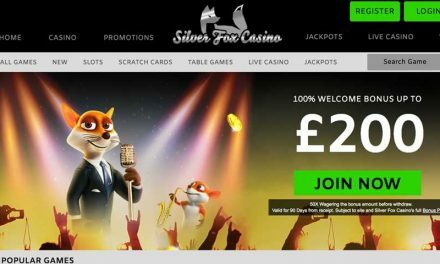 What’s more, they know how important it is to get a no deposit bonus at a new mobile casino, so they reward each newly signed up member with a free £5, no wagering requirements and no ridiculous T&Cs. Now, that’s what we call exceptional service! The truth is in the name – it’s wins that are sit right in your pocket, in the shape of your mobile device of course! Bright, bold and beautiful, PocketWin ticks so many boxes of being a perfect mobile casino. First, it’s got great games that are designed specifically for your small mobile phone screen and highly detailed too. Second, there are plenty of jackpots and let’s admit it, players want jackpots. Whenever a new game is launched at PocketWin, a jackpot is started too, which quickly accumulates to dozens of thousands. Thrilling! And then finally, mobile phone billing is a highly important element of making PocketWin part of this best mobile casino list. That’s because it extends the mobile-first approach and ensures gambling on your mobile is as easy and convenient as possible, including depositing funds. A massive £500 welcome package awaits all those who join this fab mobile casino, enough to get us salivating and wanting more. GoWin is the best casino or those who want simplicity and sleekness, which both translate perfectly onto the mobile screen. There aren’t any flashy banners, blingy ads or convoluted menus – intuitive and helpful user experience is what they’re known for. Plus, they’ve got a hugely entertaining blog, plenty of mobile games from developers both popular and classic, and enough promos going on to last you months. And if you run into any troubles, there’s email and even phone support to sort you right out without ever having to let go of your mobile device. Last but definitely not least, we want to highlight Kerching! as one of our recommended mobile casinos and it’s for a very simple reason. Their site is built to perfectly fit onto the screen of any mobile device, be it a phone or a tablet. It’s vibrant and engaging, allowing you to navigate to any part of the site with just a click. Among its other mobile-friendly elements is that mobile phone deposits are accepted and encouraged – there are no fees to use this method and the funds get transferred instantly. And that’s not to forget the exclusive VIP club, which promises special gifts, tickets to events, unique promotions, birthday presents and more. What’s not to love? PreviousHow Do You Use Mobile Phone Billing? NextSlot Review: Mucho Money Mobile Slot by mFortune — Free £5!